Girls read more than boys in just about every developed country, and it's a big reason girls are having better educational outcomes. A Scottish researcher found that boys dedicate less time than girls to processing words, boys are more prone to skipping passages or entire sections, and they frequently choose books that are beneath their reading levels. Learn more in an article from The Atlantic. A 2016 Scholastic survey supported the findings on boys and reading. 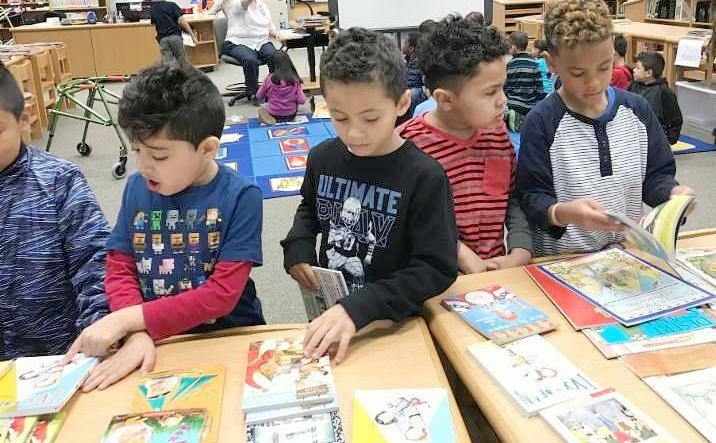 It showed that of over 2,000 U.S. children, ages 6-17, only 52% of boys (versus 72% of girls) said they liked reading books over the summer, while only 27% of boys (versus 37% of girls) said they read books for fun at least five days a week. Forty-five percent of boys (versus only 36% of girls) said they often have trouble finding books they like. Learn more in this article from Psychology Today. RIF of NOVA holiday appeal letters should be in your mailboxes soon, if they have not arrived already. Your donations allow us to purchase books for children at the 36 schools and sites we serve. We know there are many worthy causes. Literacy is one of them because it is so key to the future of our children, our economy, and our nation. So please give generously. Every $2 buys a book for one child. Multiply that by whatever you can give...please! 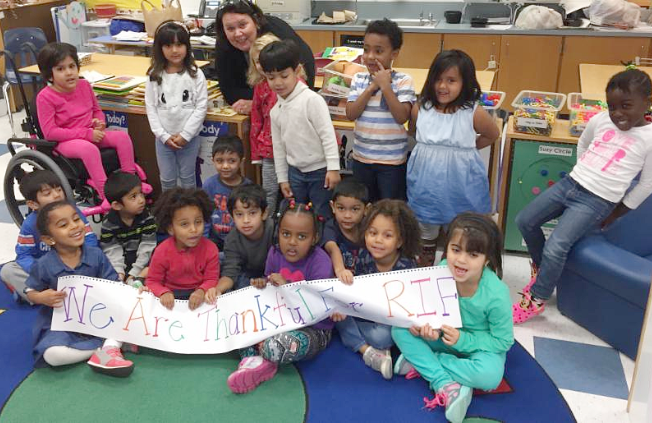 It makes such a difference to thankful children like these! RIF of NOVA Book Distributions have Begun!!! 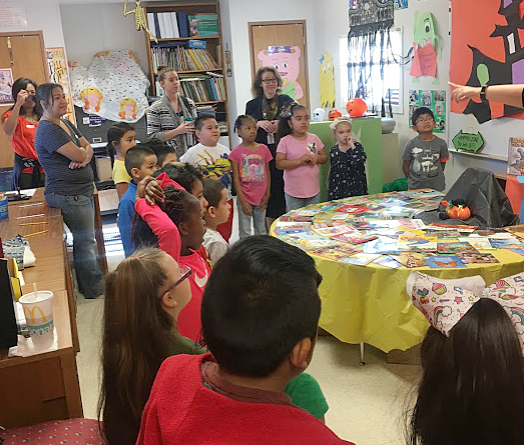 "Spook Your Imagination with Books"
Marumsco Elementary School in Prince William County held its RIF of NOVA book distribution with a monster theme. 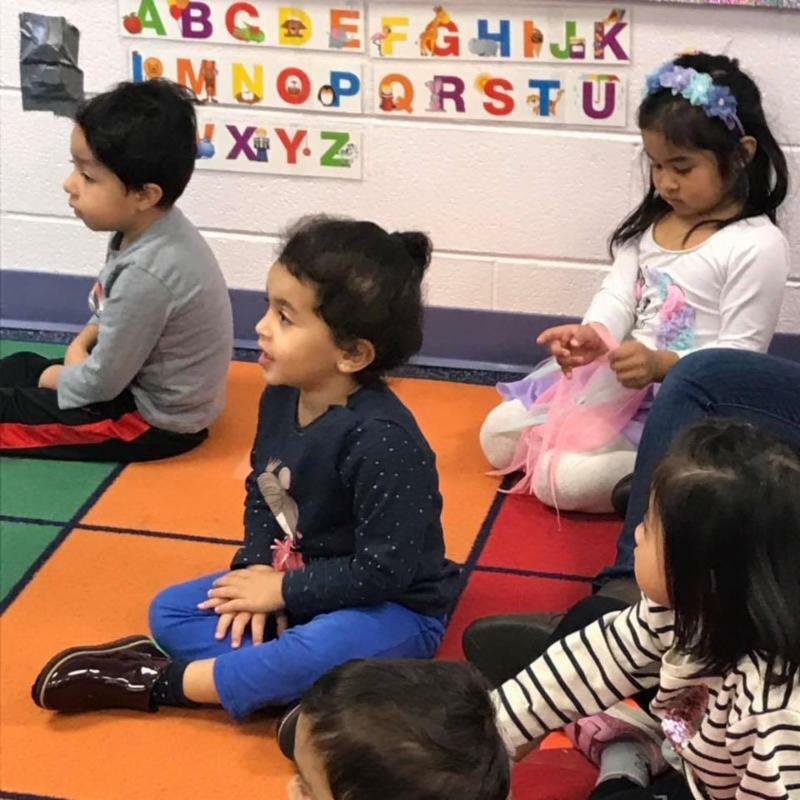 After choosing their books, the students in grades K-5 heard an age-appropriate story and were asked questions to further reinforce skills taught in their classrooms. Each student then completed a grade-level SOL writing activity. For extra fun, there was a display of "brains," spiders, and other creepy creatures to touch and feel. Ooey-gooey! The Falls Church McLean Children's Center held a RIF of NOVA book distribution with a Halloween theme. 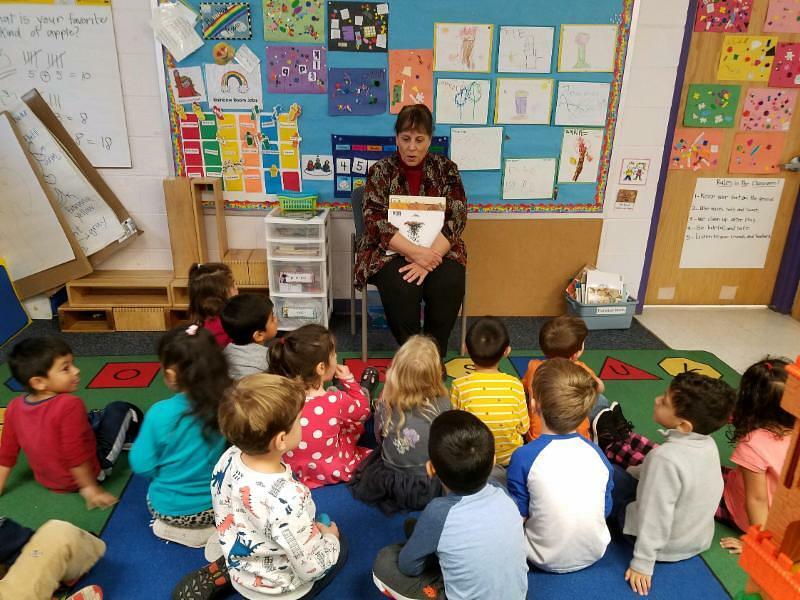 RIF of NOVA VP Ann Godfrey read "The Best Pumpkin Ever" to a group of eager four-year-olds who each picked out a book to take home. 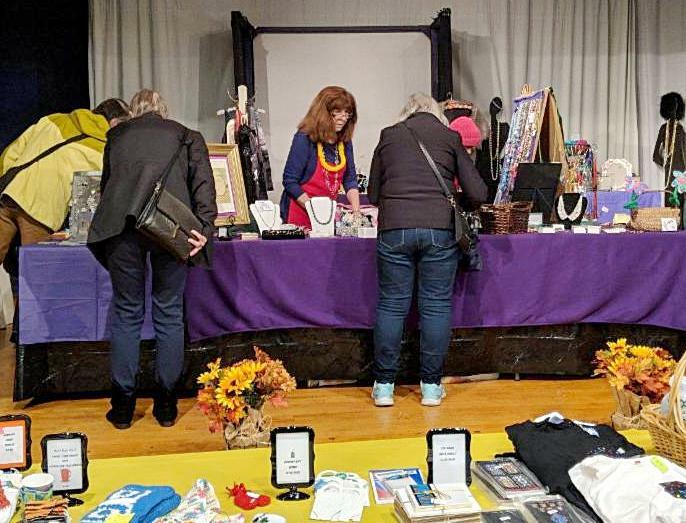 The Clarendon United Methodist Church in Arlington held a bazaar and rummage sale in late October -- with part of the proceeds going to RIF of NOVA! One of the bazaar's organizers was RIF of NOVA board member Gayle Kelley, shown here with a red apron. Thank you, Gayle and the Clarendon United Methodist Church!!! RIF of NOVA advisory board member Stephanie Berry married her sweetheart, Jason Griffith, in late October. 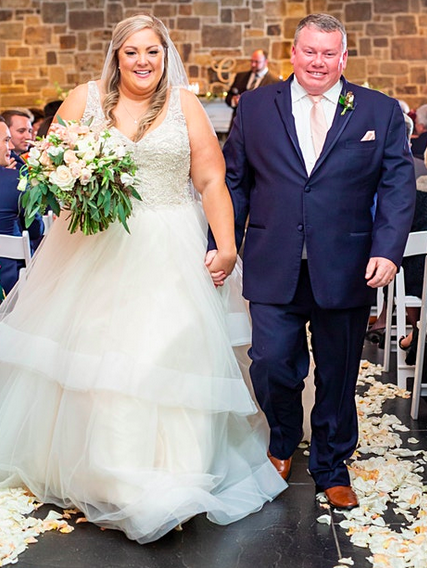 Congratulations to this wonderful couple! Stephanie has been an instrumental force behind RIF of NOVA's two 5K Book it for Books fundraiser races. Another is planned for October 2019...so keep your running shoes at the ready! In addition to the holiday appeal, here are ongoing ways to help! 1) You can give at any time via PayPal on the RIF of NOVA website www.rifnova.org. 2) You can send a check to our mailbox: P.O. Box 7012, Arlington, VA 22207-0012. 3) You can register with smile.amazon.com. Type in Reading Is Fundamental of Northern Virginia, Inc. to select us as the charity you want to support. Amazon will donate 0.5% of your eligible purchases to RIF of NOVA.